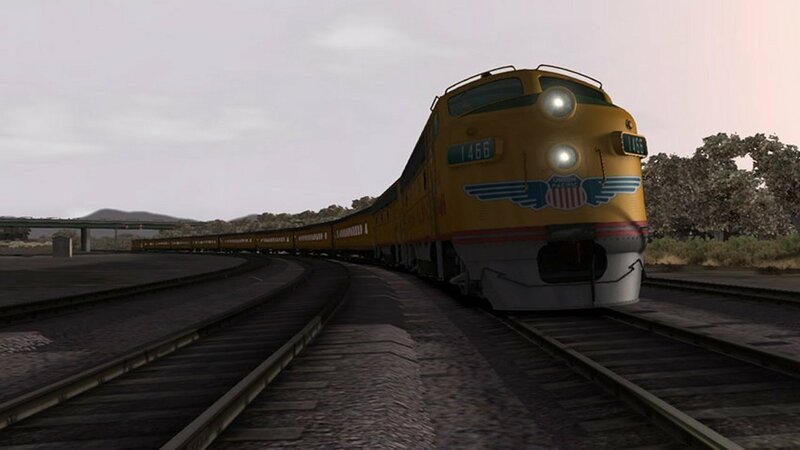 If you have played Railworks 2, you will know how good it was, and no doubt you will be awaiting the release of Railworks 3, AKA Train Simulator 2012. Railworks 2 was slick, smooth and responsive; generally it had an excellent feel to it when compared with veteran simulators like Microsoft Train Simulator. So, with this in mind I had high hopes for Railworks 3 (Train Simulator 2012), and after sampling the core product and one expansion pack (Horseshoe Curve) I have not been disappointed. True, this latest release has its issues, which I will mention later, but overall this release is well worth a look at if you are a train enthusiast of any kind! Installation, although automatic, was a little problematic, but support from this developer proved excellent. And with fixes on the way, the general public should have no problem installing this software via the Steam platform. Loading of the simulator took no time at all, and the selection of routes, locomotives, consists and scenarios are well laid out and user friendly. You will not have to adjust many display options either, as the options screen is very simple to understand with only minor tweaks available. Environments are quite simply beautiful, with a very true to life representation of the real world locations, while weather effects are the best I have seen in any simulator. Rain beads on windshields, windscreen wipers realistically clear the view, sunsets are stunning and signals and signs are clear and accurate. The representation of speed is also a plus point, with the trains seamlessly running through the well laid out landscape, clicking over junction switches, immersing the user in a way I have never experienced before. All users of the previous Railworks 2 will be automatically updated to the new Train Simulator 2012 over the steam platform, a welcome bonus from this developer. Unfortunately, this free upgrade is only the basic version but it’s still not to be sneezed at though, as it includes some excellent routes like Oxford to Paddington, but does not include the Horseshoe Curve route in the USA. This is available as an add-on, and as I had the pleasure of sampling this route I can also highly recommend this expansion for TS 2012. Horseshoe Curve snakes through the central Pennsylvania countryside, and so wonderfully recreated is this engineering marvel in the simulation, that you will spend hours just looking at the route. Everything about the expansion breaths realism; long consists with six plus locomotives weaving through the flora and the fauna of the mountainous terrain in a way that has to be seen to be believed. I am actually still running this route 10 days after starting the simulation and I haven’t run out of inspiration yet! Locos on the whole simulation are very convincing; smooth lines, accurate colours, rotating wheels, diesel smoke, steam and train lighting all add to the simulation in small ways, stacking up to really provide an immersive experience. 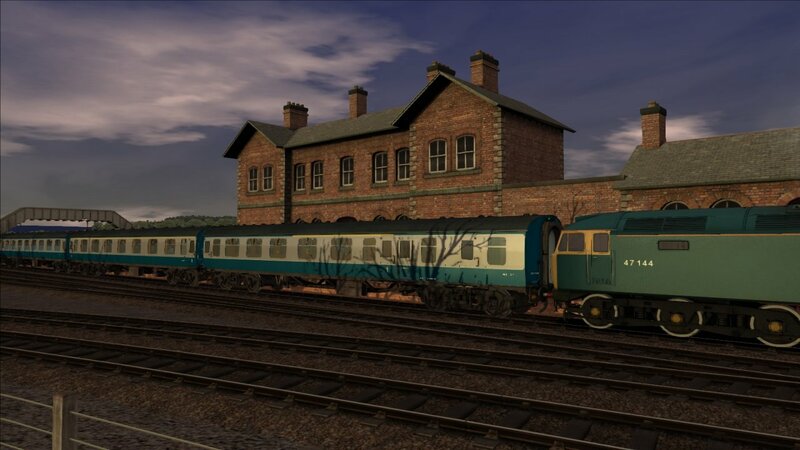 Well recreated British locos like the HST, Class 37, Class 47 and Class 55 (Deltic) will make their individual engine notes known, showing the amazing attention to detail on the Simulation. North American Locos such as GP7, SD40 and F7 will strike you with their powerful imposing lines and well recreated cabs. Steam locos including Black 5 and 7F will take you back, expertly transporting you to a bygone day with a hiss of steam; you can almost smell the smoke! Overall, I have difficulty faulting this masterpiece of Simulation. Like its predecessor, it is slick and feels sophisticated yet easy to use. The graphics are amazing with the engine running DX-9. I would have loved to see a simulation that utilizes DX-10 or even 11, but I think I am I getting greedy! There are issues with the simulator, most minor and not worth a mention, but some slightly more serious or even annoying. For instance, if it is raining, the simulator depicts rain inside enclosed stations (Darlington UK etc) – quite a fundamental issue! There are long load times from route or scenario selection to playing the Simulation even if your PC is using SSD’s (Solid State Drives). The engine bags a surprisingly high CPU usage, even running on an over-clocked i7. There are still the occasional redraw events as distant scenery and buildings suddenly appear, and a little jerkiness when there are a lot of moving objects to render (even using nVidia SLI high end GPU’s) although I will say this is vastly improved over Railworks 2. All in all, if there were fewer annoying minor issues, this release would have been awarded a 10/10; however 9/10 accurately reflects the amazing Simulator. If you fancy trying your hand at driving a train in an exquisite simulated environment, then you cannot get any better than adding Train Simulator 2012 to your collection.